In celebration of her new Dragon Age: Redemption web episode, starting now, you can start a hangout on Google+! When you do, post on Felicia Day’s G+ page with the link, and she’ll potentially stop by and answer questions about the show and can even pose for a photo that you can screencap and post later! She will give preference for larger hangouts so gather up some buddies or make the jump into other people’s hangout! “Hanging out” is basically Google+ method of socializing through a web chat. To see her new web episode, look no further than to YouTube for the Dragon Age: Redemption episode found below. 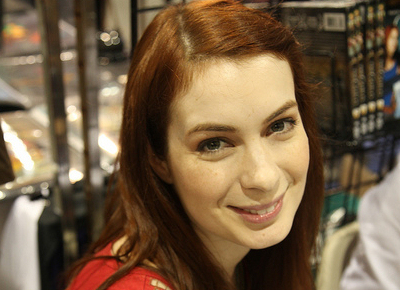 This entry was posted in Games, Movies/TV and tagged Dragon Age Redemption, Felicia Day, g+, google plus, guild, hanging out on October 11, 2011 by David W.